A few JH LVCO PCB sets are still available, please contact me if you are interested. IMPORTANT! Rev.A driver PCB has a silk screen bug: the value of R46 resistor is specified as 100K instead of 10K. Please install 10K resistor there. Triangle to sine converter calibration: use 200 Ohm trimmer to tune output sine wave to a minimum harmonics (cleanest sound), them use 50K trimmer to set the output sine wave amplitude to 10V peak to peak. First of all I would like to say that you did an amazing job building this VCO! 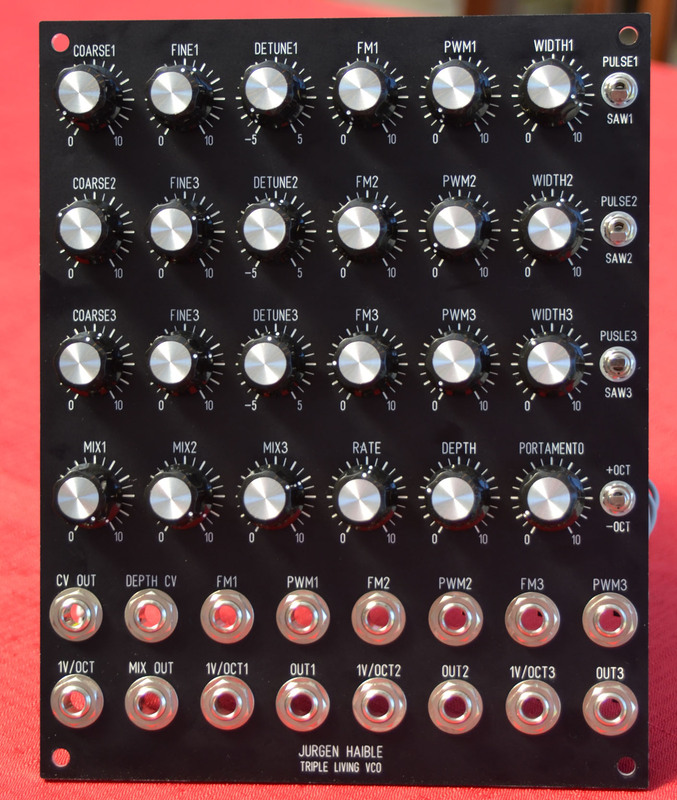 I’m building a Modular synth as well but I still don’t have an oscillator. I Really want to build it too, do you have (and like to share) the Eagle .sch/.brd files for this one? And where did you get the that300? Sorry, I will not release Eagle files for JH LVCO until situation with Jurgen’s heritage is resolved and they will make original boards available for sale. THAT300 are available from Mouser, PN 887-340P14-U. 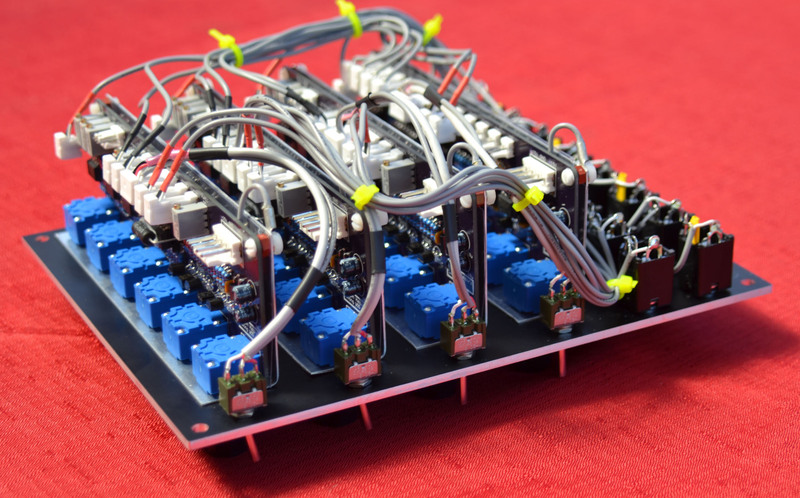 Nice Job building this VCO! Would you like to share the Eagle .sch/.brd files with me? And where did you get the that300? is the ca3046 acceptable or just really bad? ca3046 is perfectly acceptable, it’s just out of production at this point and thus harder to get. Thanks for the respond! I’m sorry for sending the message twice thought the first time it wasn’t working. No problem i’ll make one myself then, thanks anyway! Yeah, it’s still available here and there, but the stock will eventually run out, so it’s better to leave it to old designs that require them. Also, using THAT-300 results in better tracking. Hi Peter, Any chance of buying just one set of PCBs? Personal use only. Thank You! Yeah, i’m planning to build another JHLVCO for myself and can order extra PCBs. I still have driver boards though. Great! You’ve got my email, please write me with the details, prices,etc. Thank you so much! I don’t see your email — please email the address at any order page. I’m interested on a set of PCBs (Living VCO) too. I’m interested in a set of Living VCO boards as well, if there’s a complete set still available. I have a few sets of JH LVCO oscillator boards, but no driver boards at the moment. Planning to add triangle to sine converter to driver board and order more of them. Are you in a hurry? Any of the vco’s left? I just want a single vco without the driver board. I can incorporate the vco into my system without your driver board, right? Yeah, i still have a few VCO boards left. Sure, they can work as stand alone VCOs. Would you have any of the driver boards available, now? I would need two. Unfortunately, no… i’m working on a new driver board design that includes tri to sine converter. Hi Peter! That would be great! 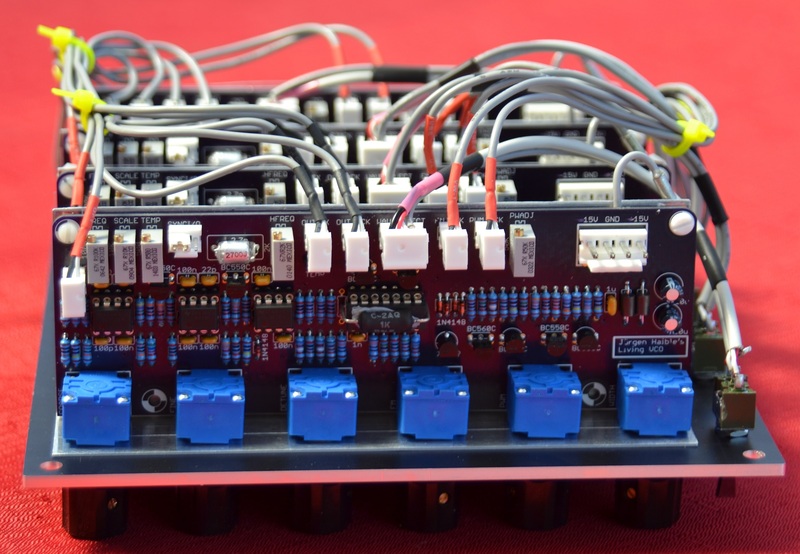 I guess the front panel should be modified or an aditional panel should be added to hold the new waveform outputs, right? It is a new converter you are designing or something based on a particular vintage synth? best!, G.
I’m thinking of an additional panel htat would hold tri/sine outpus with level knobs as well as osc sync jacks. 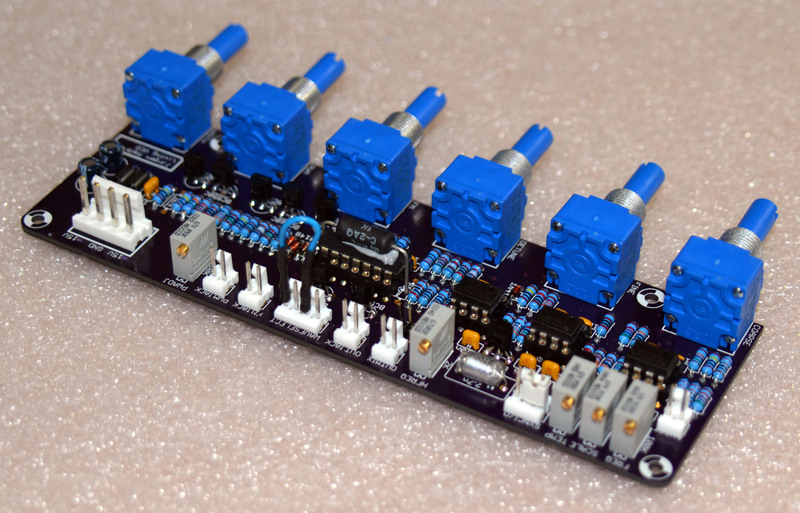 BTW, the revised JH LVCO Driver boards were ordered today, hope to have them back in a couple of weeks. Hey, do you still have one set in stock? I would love to build one of these and your layout is smart. Yup. Please contact me at pete at kvitek dot com. Any news on the new driver board? Driver board is available, see the blue PCB on the photo above. In addition to JH driver stuff, it also has tri and sine converters.